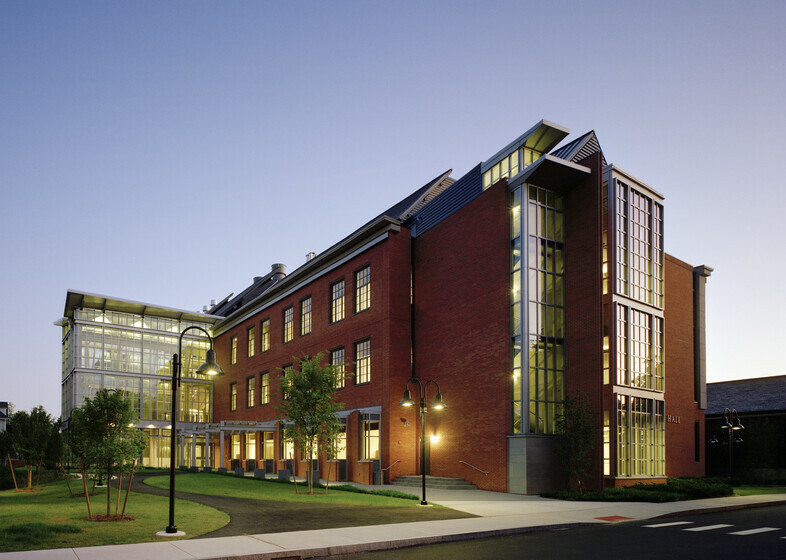 Ford Hall is the first dedicated science and engineering building at Smith College. 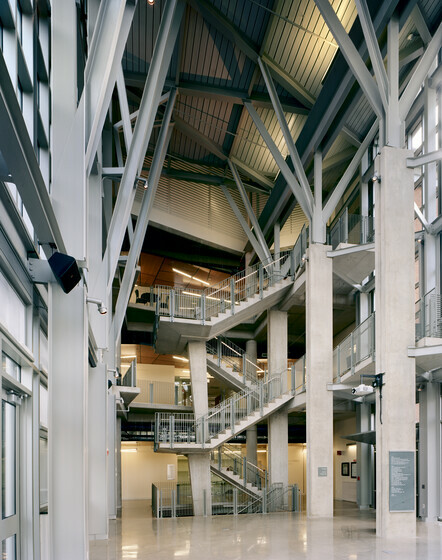 A LEED Gold project, it showcases high-performance energy and environmental features as part of its academic program. A concept of a “river of light” carries surface-mounted lighting throughout the circulation areas and works with the technology-on-display concept for this highly sustainable building. 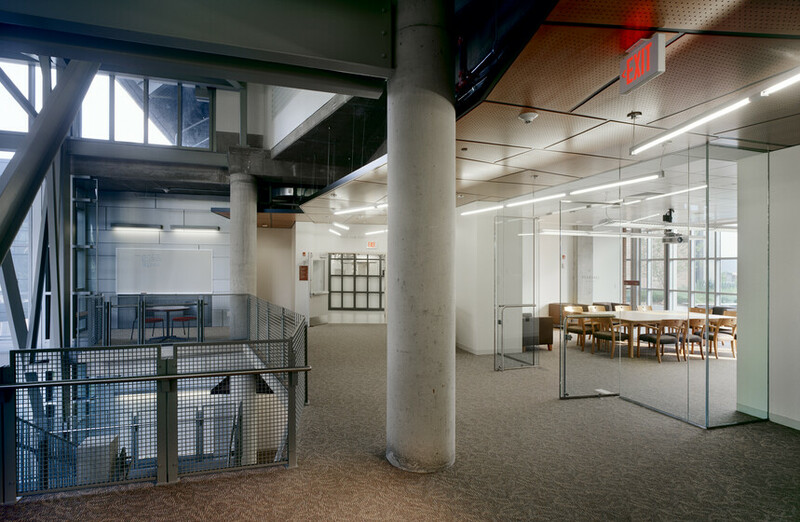 The integrated daylighting and architectural lighting design enlivens the Great Hall, circulation, classroom, and laboratory spaces. The building incorporates green roofs, porous pavement, vegetated swales, environmentally responsible mechanical systems and the use of a combined heat and power cogeneration system.